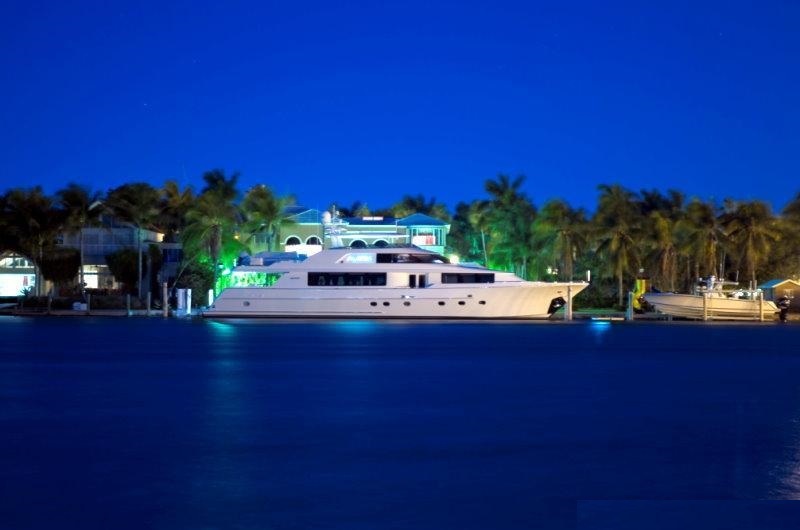 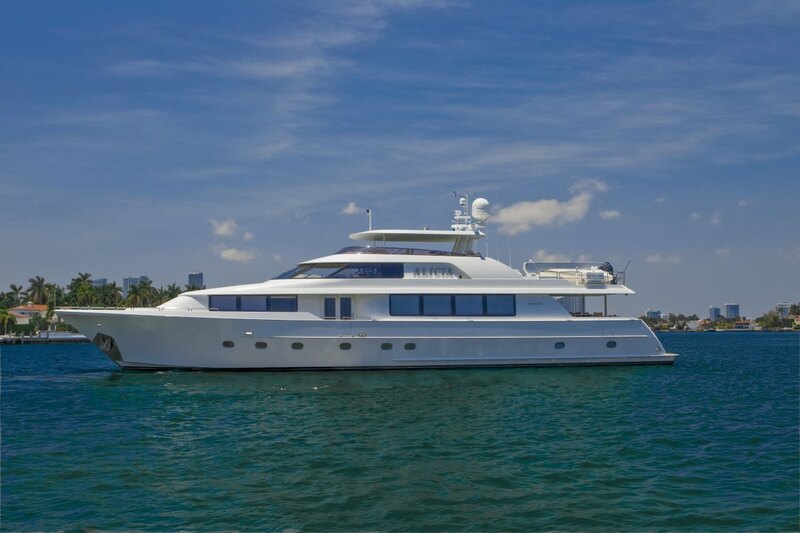 Luxury Crewed Yacht ALICIA is a Westport 112 motor yacht built in 2007. 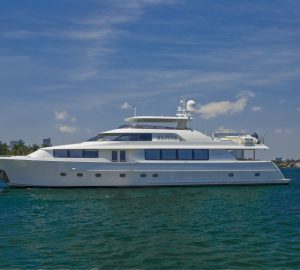 She measures 34.11m (111' 11") in length and can accommodate up to 8 guests in 4 luxurious cabins. 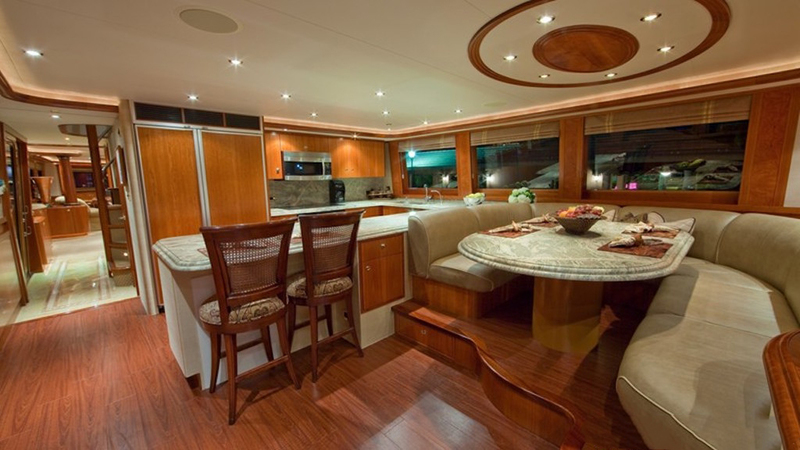 ALICIA features modern styling, responsive performance and luxurious accommodation. 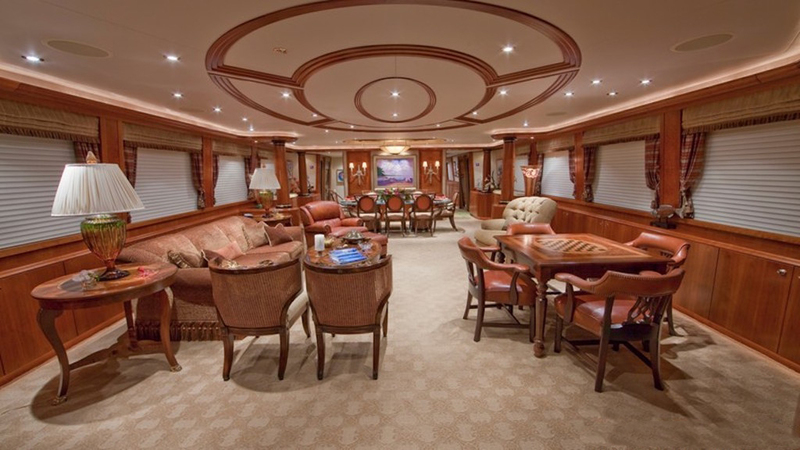 The main salon is beautifully decorated and is both stylish and comfortable. 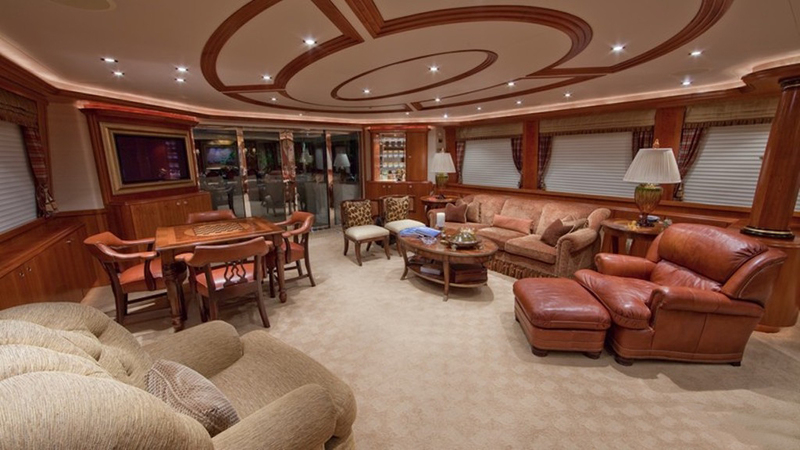 In the salon, there is a sitting area with a couch and oversized chairs facing the entertainment system as well as a card table. 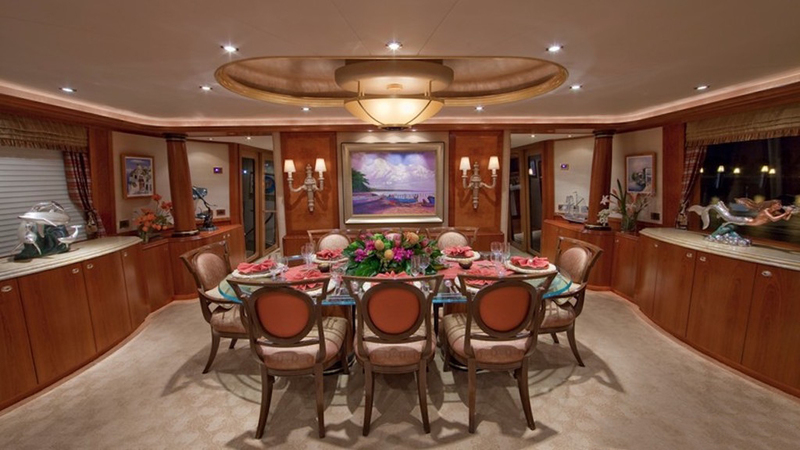 Further forward is the formal dining area where up to 8 guests can enjoy supreme cuisine prepared by the onboard chef. 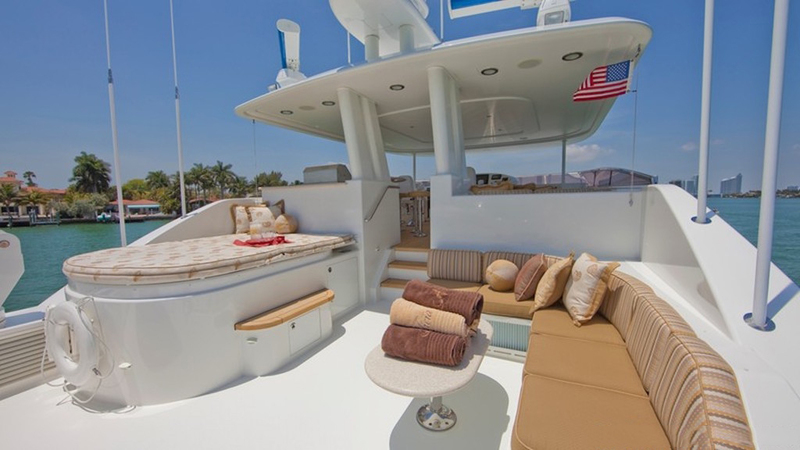 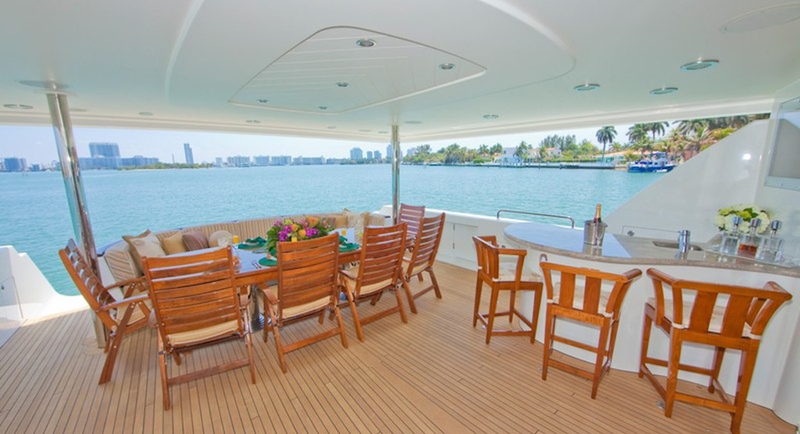 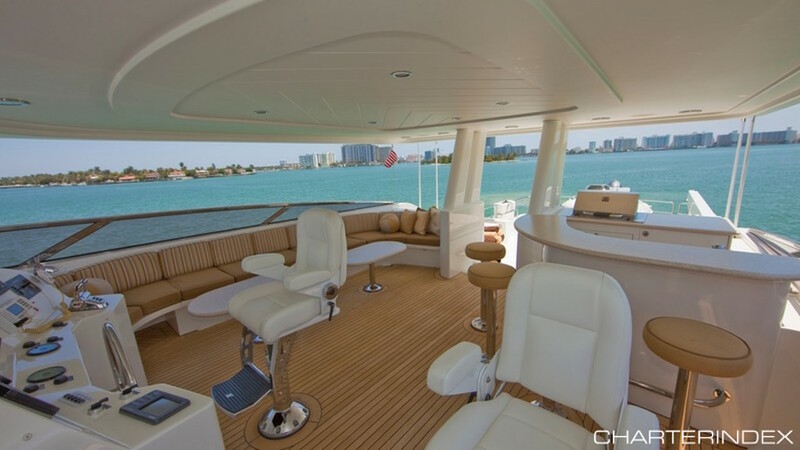 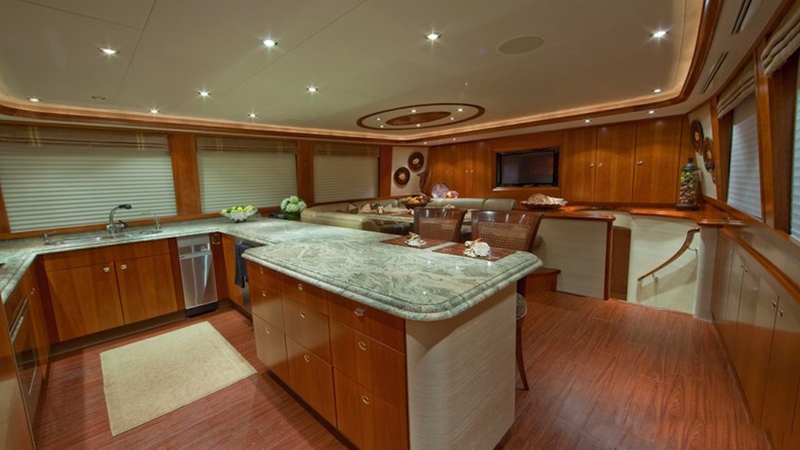 The large pilothouse provides generous comfortable seating, a 270-degree view and state-of-the-art electronics. 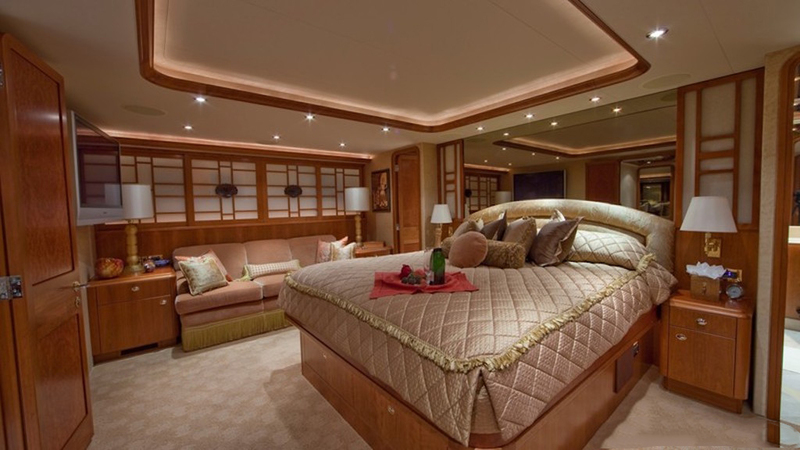 There is a four-stateroom layout featuring a Master Stateroom located amidships, a VIP Stateroom located forward, a Queen Stateroom to port and a Twin Guest Stateroom on the Starboard side. 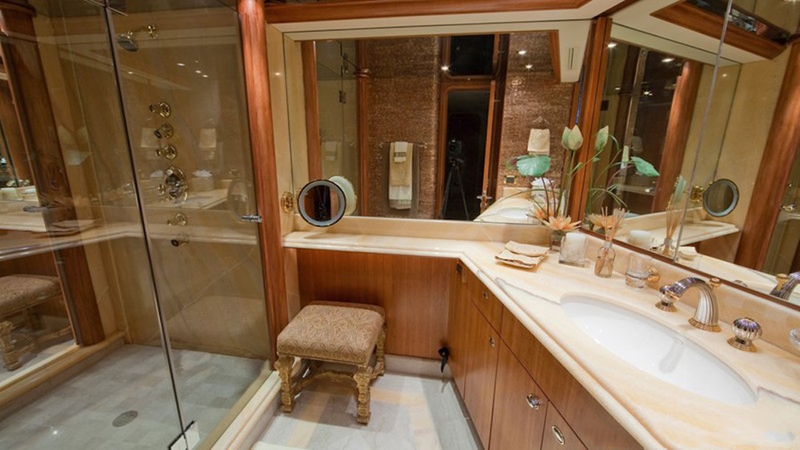 Each cabin has its own private ensuite facilities. 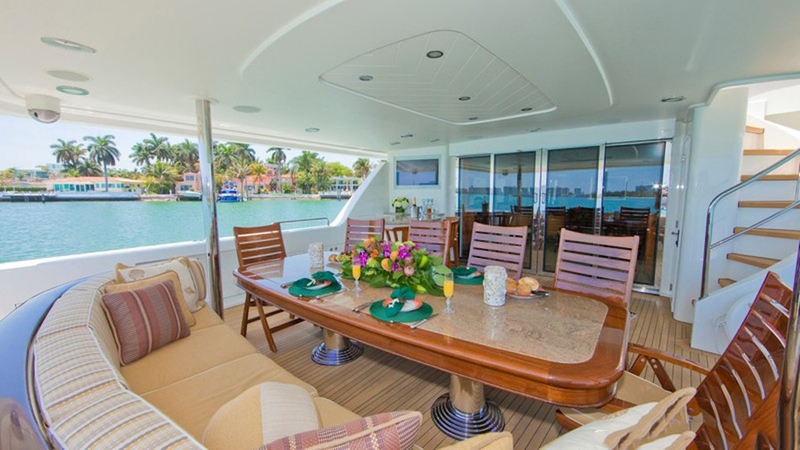 This motor yacht boasts an oversized aft deck with alfresco dining for twelve guests as well as a built-in wet bar with entertainment centre to port. 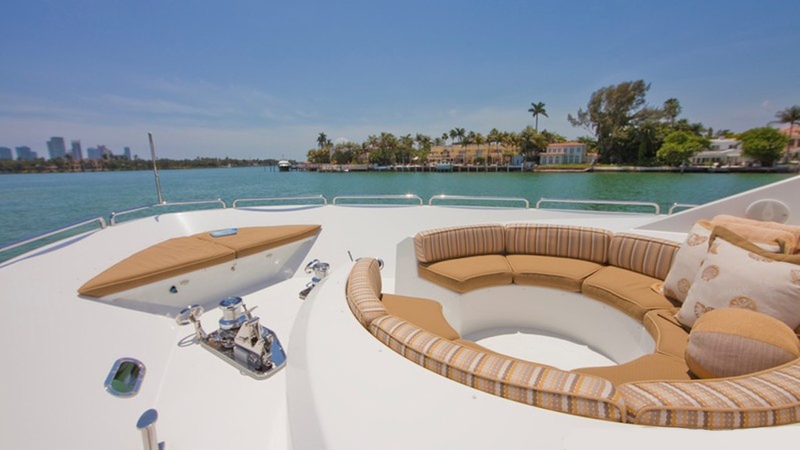 The fly bridge features a custom hard top, a bar, a Spa Pool and lounge seating. 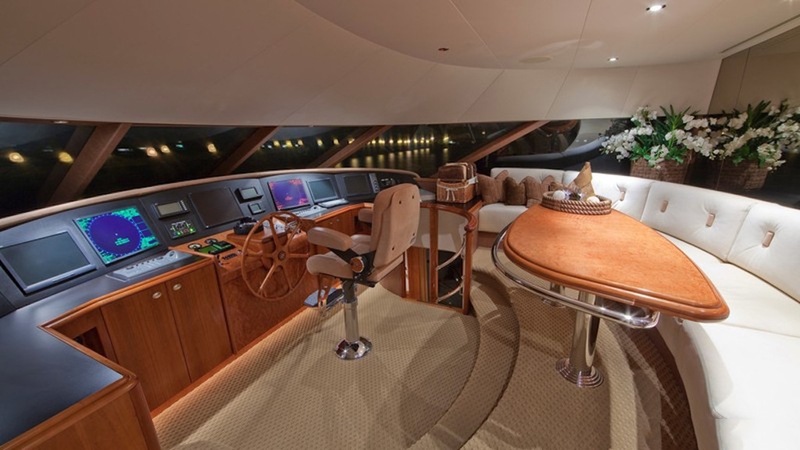 There is a circular seating area on the bow which is a great place to relax with a cocktail or cuppa. 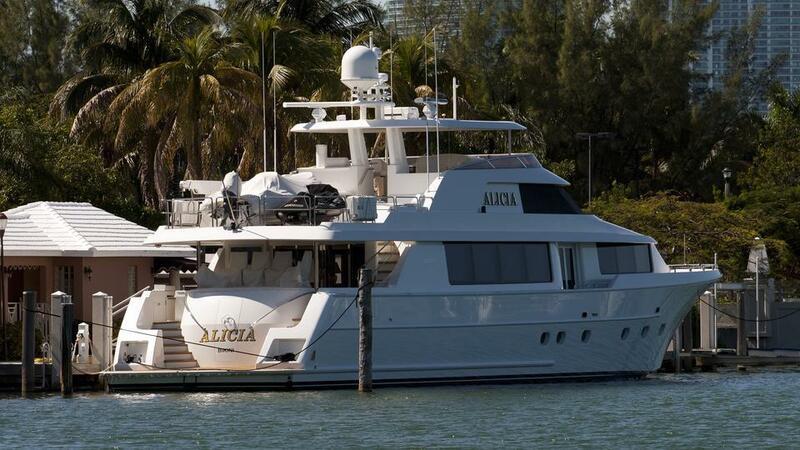 ALICIA is able to accommodate up to 8 guests in 4 cabins located below decks. 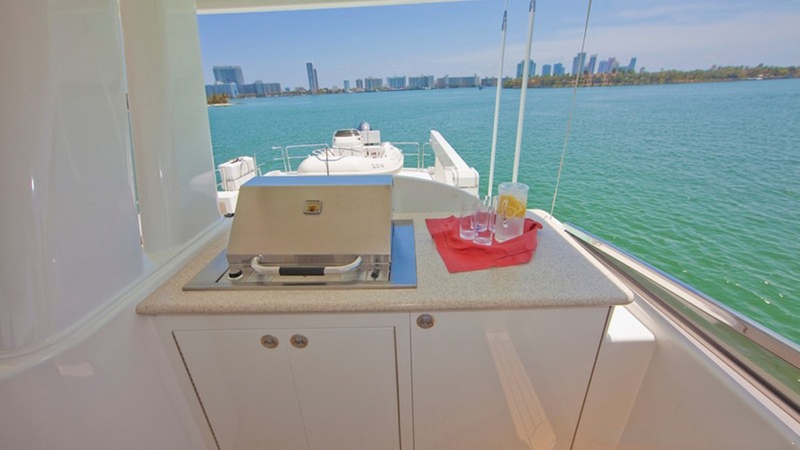 The Master Stateroom is located amidships and features a King Size Bed, Walk-in Cedar closet with digital safe, TV, DVD, player and Speaker Craft CRS speakers, ensuite His and Hers bath with large shower, two vanities and swing out stool. 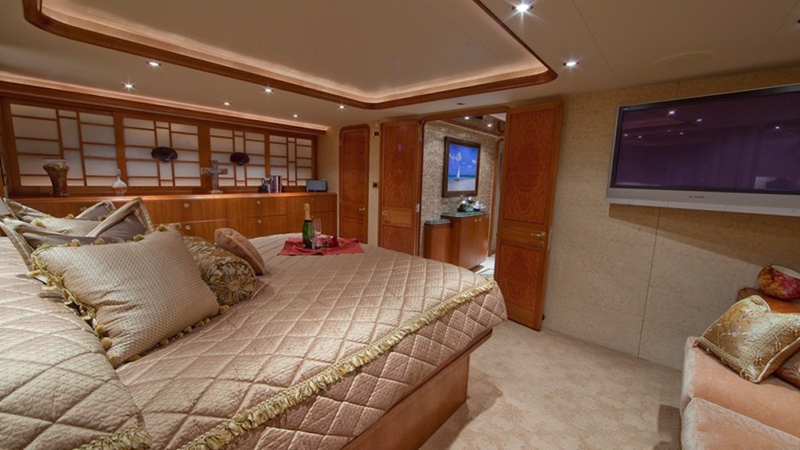 The VIP Stateroom located forward and offers a Queen Berth with Walk-in Cedar wardrobe, Vanity/Desk TV/DVD ensuite bath with shower. 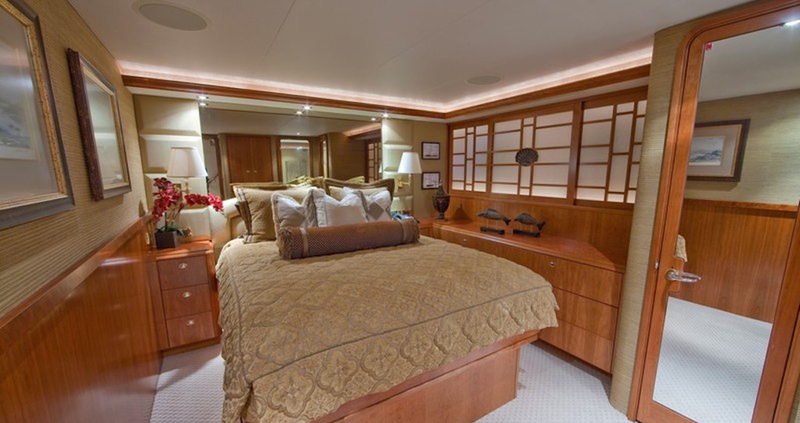 The Queen Stateroom to port has a Queen size bed- cedar lined wardrobe, TV, DVD/ CD Player. 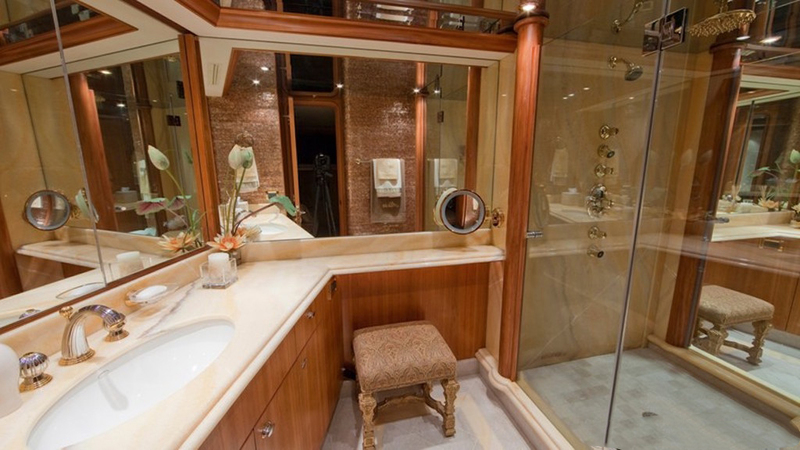 Ensuite bath with shower. 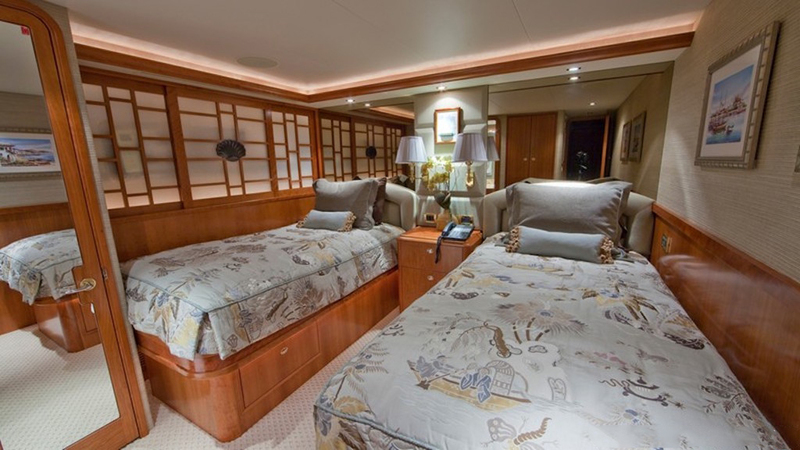 The Twin Guest Stateroom on the Starboard side has twin berths, ensuite bath with shower. 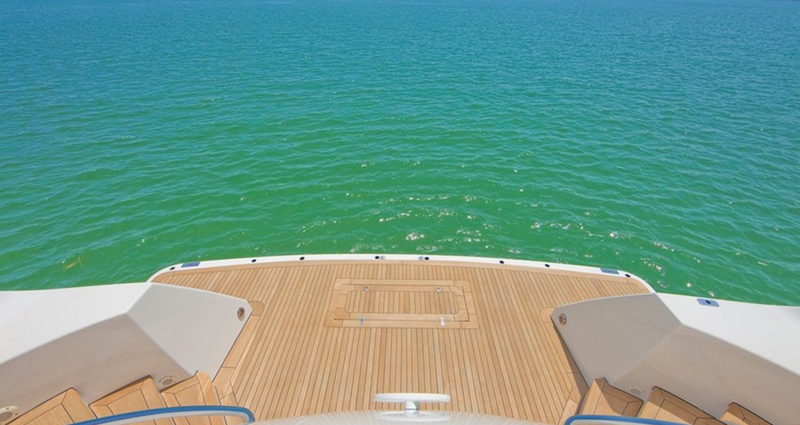 There is a great selection of Tenders & Toys onboard including a 17' Nautica 115HP, 2-Man Waverunner, a 1-Man Kayak, Wakeboard, a 4-person ski tube, a Slalom ski and Snorkel gear. 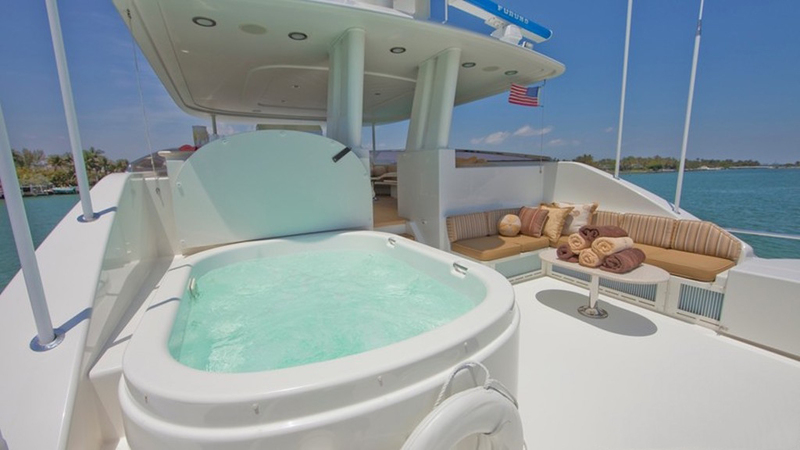 There is a Spa Pool on deck.